Make this your tastiest Thanksgiving ever! Whether you fill your Thanksgiving table with classic dishes or try new recipes each year, here are ideas and resources for making your feast delicious and delectable. 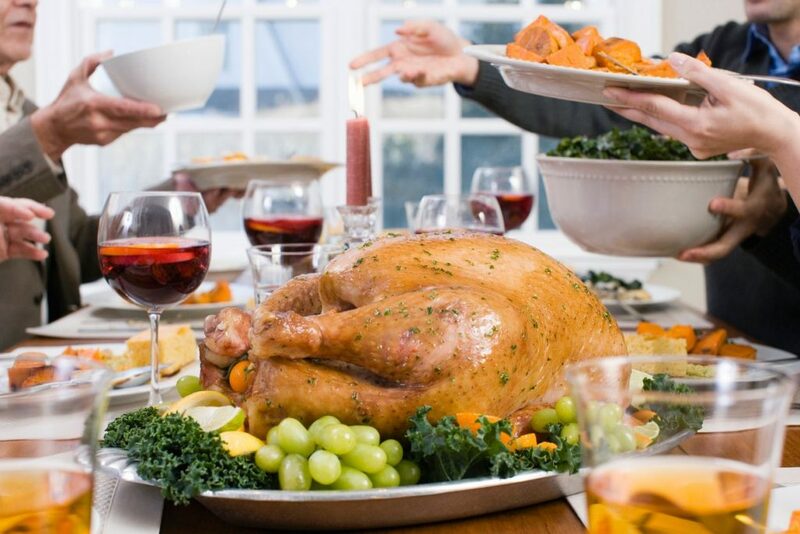 Why do we love Thanksgiving dinner so much? In addition to spending time with friends and family, it’s simply one of the most delicious meals of the year! If you’re cooking dinner, or even part of it, here are recipes to inspire you and resources to help you navigate the cooking process. Got a question about how long to thaw your 12-pound turkey? Need help in determining when your bird is done? There’s a hotline for that! For over 30 years, the folks at Butterball have hosted the Turkey Talk-Line. To get the answers you need, call 800-288-8372 or text 844-877-3456 throughout the holidays. You can even connect with the hotline through social media and Amazon Alexa. In some households, listening to the Turkey Confidential radio show is as much of Thanksgiving tradition as pumpkin pie. This annual call-in show comes to the rescue of cooks, kitchen helpers and guests alike. Listen on Thanksgiving Day from 12–2 p.m. on your local public radio station or online here. Whether you cook the classics or try a new dish this Thanksgiving, we wish you all the best, and thank you for being part of the Consumers family! Boo! The 5 scariest purchases you will ever make!